Shootin' fun for everyone! 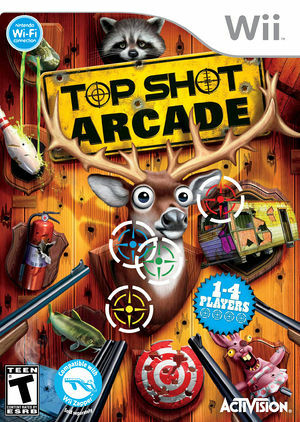 Have a blast in four player head-to-head arcade action in Top Shot: Arcade! Enjoy non-stop laughs and the wildest shootin' action ever as you compete in 75 arcade style shootin' galleries and 15 over the top bonus games. Featuring 4 person head-to-head arcade style gameplay, this is the ultimate game for a party or family night. The graph below charts the compatibility with Top Shot: Arcade since Dolphin's 2.0 release, listing revisions only where a compatibility change occurred.